Indie Retro News: Super Pitfall 30th Anniversary Edition : NES Super Pitfall turns 30 today and a fan has fixed it‏! Super Pitfall 30th Anniversary Edition : NES Super Pitfall turns 30 today and a fan has fixed it‏! 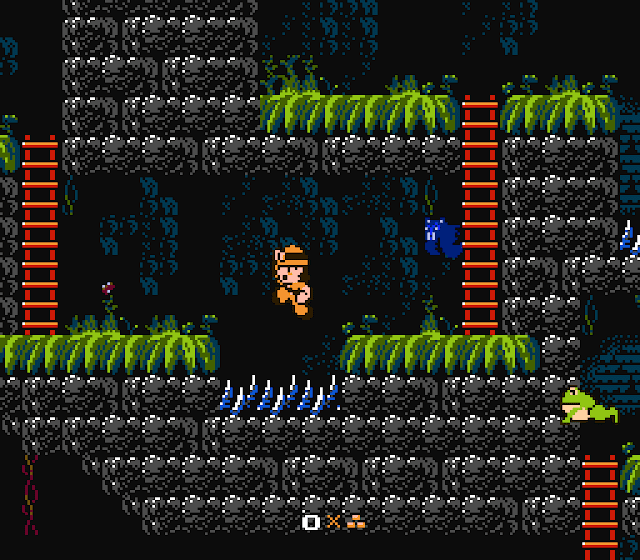 In 1986 Pony Inc released the loose remake of Pitfall II: Lost Caverns ' Super Pitfall ' for the Famicom and PC-8801. It was a scrolling platformer that also appeared in 1987 for the NES as another line up in the Pitfall series which first appeared on the Atari 2600 and published by Activision. However Super Pitfall unlike the original Atari 2600 game was not so well received with one such site saying "Pitfall is one of the best Atari 2600 games but Super Pitfall is one of the worst NES games" (Wiki). 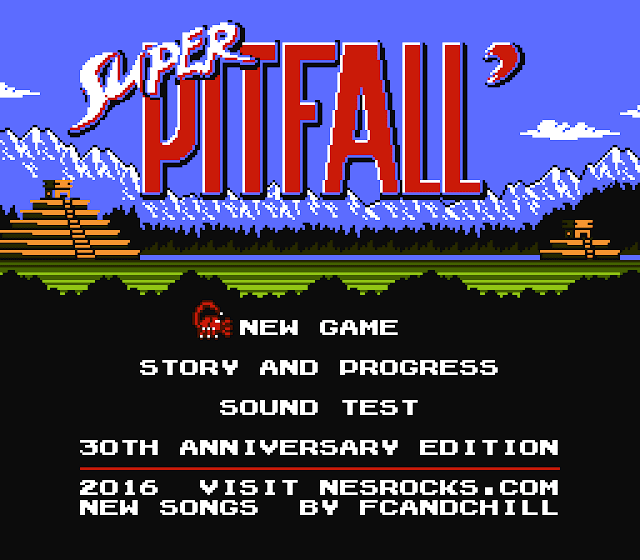 So not really much to celebrate on that front, but along comes a professional game artist by the name of Mário Azevedo (nesrocks) who has released The Super Pitfall 30th Anniversary Edition; a fan fixed game for the NES. In celebration of the games 30th birthday, Mário Azevedo has stepped up to the task and taken this rather poor excuse for a Pitfall game and given it the very special treatment. According to him, "Super Pitfall is one of those odd games that are broken beyond belief and still people talk about it. If you look hard enough, you'll even find those with fond memories of it. The truth is, there is a good game underneath all of its problems. 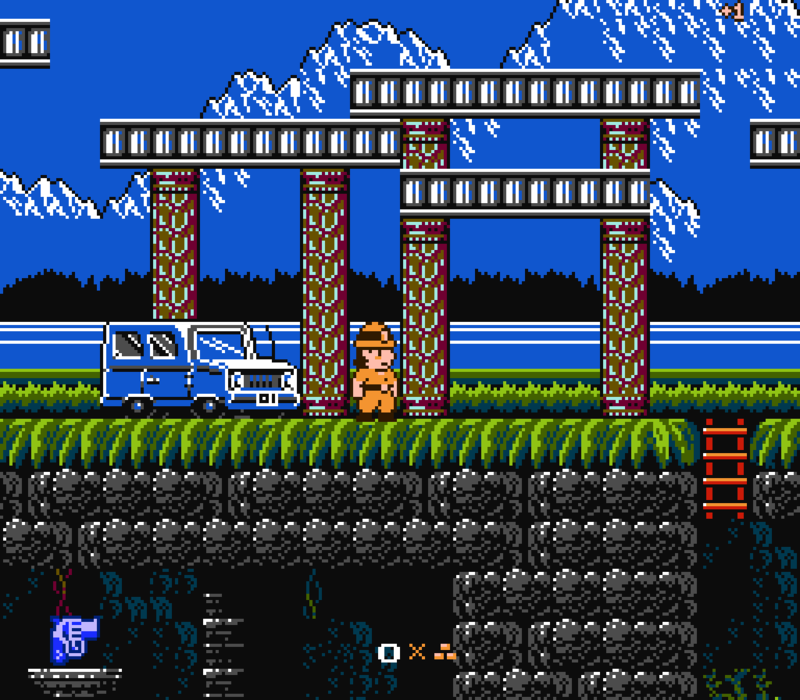 It is an ugly swan in the series, and it is the only one representing it on the NES. Something had to be done, and the time was now". Thus after a long task of modding and learning assembly with the rom hacking help of veteran Macbee, he has overhauled the game with lush new graphics, a new soundtrack, new game design improvements such as no hidden items or warps, improved performance and even an automatic battery save. With beta testers' feedback being overwhelmingly positive for example 'they've never seen a hack like this before'. But there is a down side to all of this, it will only be released as a hack/patch and not a full ROM, thus the only way to play this overhaul is via a downloaded ROM or a generated ROM from a legally owned cartridge. 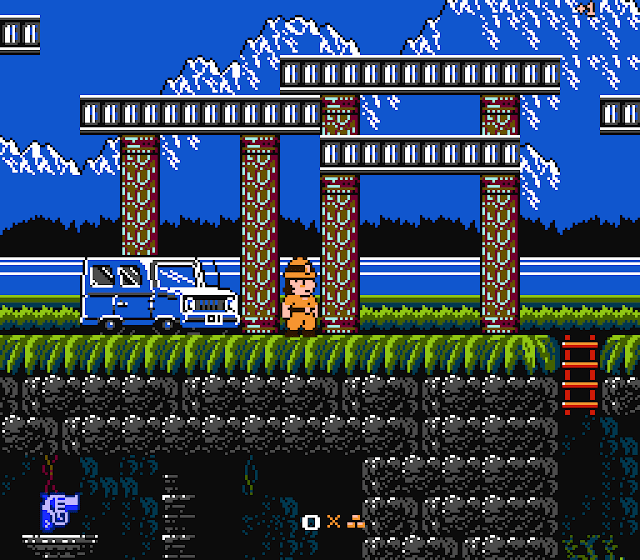 But if you can get a hold of one, you'll be able to look forward to features such as new graphics, new songs, hud item collection progress, bug fixes, improved performance and much more to make this the best download for the NES we've seen this year so far!